Every material tells a story. “What happened?” or “What will likely happen?” are key questions for our clients. Engel Metallurgical provides answers by looking at materials involved in the incident in question—or components related to the product in development. Quality and details are everything. That's the premise upon which Les Engel founded Engel Metallurgical in 1983, and he's since added only individuals who share that passion for quality and details. It's paid off; customers in manufacturing, legal and insurance industries continue to turn to Engel Metallurgical for expert consulting and testing. The company's growing team of engineers, technicians and administrative staff members provides quality, detailed service—cost-effectively for each project. We're continually broadening the scope of our service and adding new technology for higher quality testing and analysis. We also have access to myriads of other engineers throughout the world, utilizing them and their expertise as needed for specific projects. 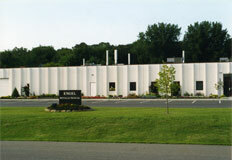 Engel provides service from our laboratory, your site or your selected vendor's site. Engel Metallurgical's quality details provide you with absolute confidence that the results are accurate, saving you time and money.